Well, it's been a little while since I've written a shoe review for this blog...been pretty busy and all. However, if there's one shoe to bring me out of hiding, it's the Brooks Launch 2. I reviewed the original Launch way back in 2012, and it's been my go-to everyday trainer ever since. Easily one of my favorite trainers, if not my absolute favorite. I loved it for its simplicity...very little superfluous technology in that shoe. Brooks almost axed it a few years ago, but enough people got upset that they changed their mind and kept it in the line. 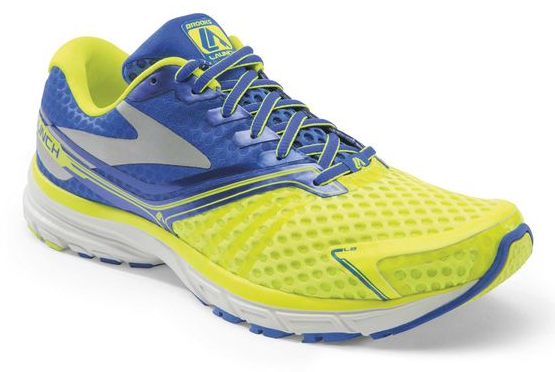 It remained unchanged for several years, but Brooks decided to release an updated Launch 2 for 2015. So, how does the Launch 2 stack up to the original? Energy bars have come a long way since the days when eating an energy bar meant trying to rip apart a sticky, homogenous textured Powerbar (not that there's anything wrong with those bars, and I think they're pretty good, but they're kind of an acquired taste that you eventually learn to love). While early energy bars were meant as a high-sugar (for quick energy) sports supplement, today many people want delicious tasting energy bars as a convenient snack food that requires no preparation and can be easily brought anywhere. Companies have responded with options that are often lower in sugar, higher in protein and healthy fats, and have easier to read ingredient lists. One type of bar that falls into this category is the fruit and nut bar. 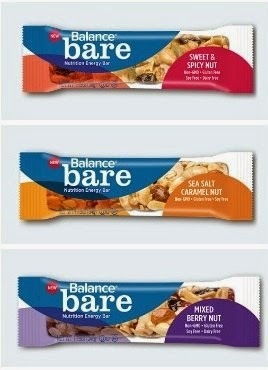 Today, I'll be reviewing Balance Bar's entry into this nutty snack bar category: Balance Bare Nutrition Energy Bars. I have been a Nick Symmonds fan for years. I believe that he first appeared on my radar in 2008, when I was living in Colorado without a TV, and was constantly refreshing LetsRun or Flotrack or whatever website I was using looking for results. That year, Nick won the US Olympic Trials and made it to the semifinals at the Beijing Olympics. Since then, Nick has gone on to run a sub-1:43 800m, finish fifth at the 2012 Olympic Games, and become track and field's most outspoken advocate for athlete rights. 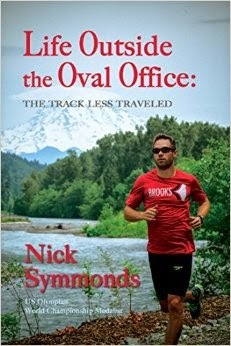 I was super excited when I heard Nick was penning an autobiography, and now that I have it in my hands, I present to you my review of Life Outside the Oval Office: The Track Less Traveled. 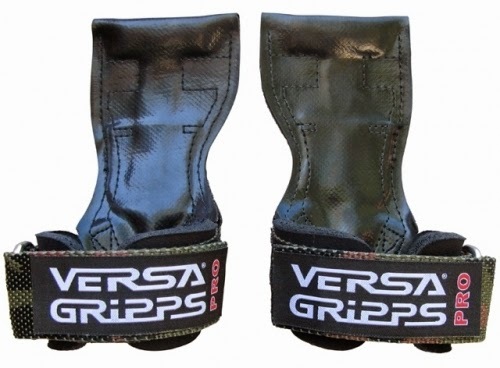 I'm changing this up a little bit from my regular running gear reviews, because 1) most runners could use some time in the gym to prevent imbalances from forming and to keep themselves from getting skinny-fat, and 2) Versa Gripps are probably the best $55 that I've spent in a while. So I'm sure those of you who have spent time in the gym have seen people using lifting straps (not wrist wraps, but those long straps that get wound around the bar to keep weak grip strength from holding back other muscle groups by transferring some of the weight to the forearms) or lifting hooks (which serve the same purpose, only...they're hooks). Straps and hooks are cool because they're cheap, but they have a couple problems. First, straps take a while to wrap. Second, neither straps nor hooks will release quickly if you need to drop the weight in a hurry. And third, they're not all that comfortable. That's where Versa Gripps come in. ZonePerfect Well-Being Essentials Kit Winner! 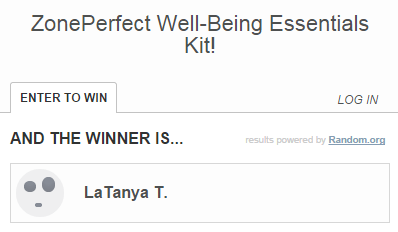 Congratulations to LaTanya for winning a Well-Being Essentials Kit from ZonePerfect! LaTanya, please check your email! 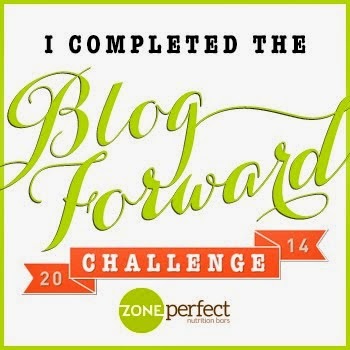 Blog Forward Challenge 2014 by ZonePerfect #3 and GIVEAWAY! It's September, and I have no idea where August went. Actually, that's not entirely true, since August was filled with finals, final papers, and studying for National Boards Part II. That's one way to make a month fly by in a chaotic mess of studying, stress, and not much else. Well, studying, stress, food, and working out, because there's always room for food and the gym. So, let's check up on those ZonePerfect Blog Forward New Year's Resolutions, shall we? Sunglasses are one of those items that make running much more pleasant (because no one likes squinting into the sun, or eye damage for that matter), but tend to cost a lot of money. While everyone tends to recognize big (expensive) names like Oakley, there are also companies that are making high-performance sunglasses at a lower price point, (the previously reviewed Tifosi Slip and Podium XC fall into this category). I've recently discovered another bang-for-your-buck company: Ryders. The Ryders Via is one of their lightweight sport models, and today I'll be reviewing the photochromic version.